extensive episode guide, DVD info, and tons of wallpaper. for supporting this website, too. Enjoy! for all of his hard work on the compilation! out the entire 'catalog' of reports here, too! A short but sweet action report for episode 23 is now live here. going to need some more time. Trying to get them up before April! next week to re-format the action report pages for episodes 10-15.
back, but I hope to complete them by April! grammar forms that appeared. Hopefully, it reads easily enough. be completed at a later date. TheIGPX.com, there's a new action report. It's for episode #21. What is the IGPX? It's the Immortal Grand Prix!! 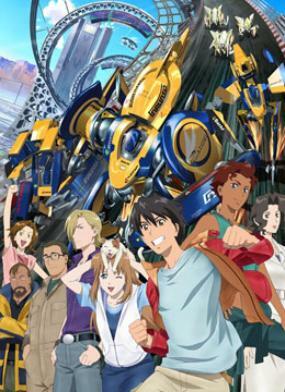 awesome anime series was created/animated by Production I.G. Morgan. IGPX is a subsite of NReviews. Thanks for visiting TheIGPX.com today. Feel free to send an e-mail if you have any questions/suggestions. IGPX Dub Comparison - Episode 21 Clip 2 from Jose Argumedo on Vimeo.